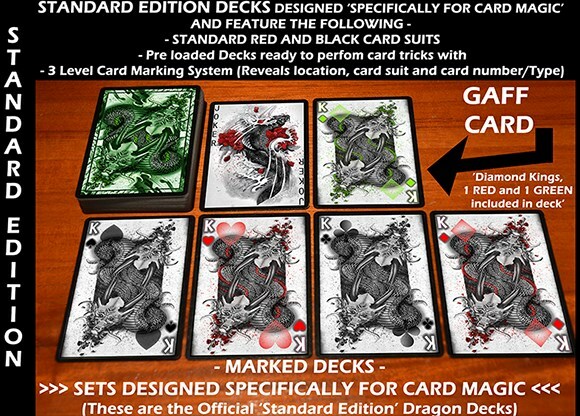 Designed specifically for card magic, the cards in this deck feature a 3-level marking system, allowing you to know any selected card's orientation/location, card suit and card number/type. 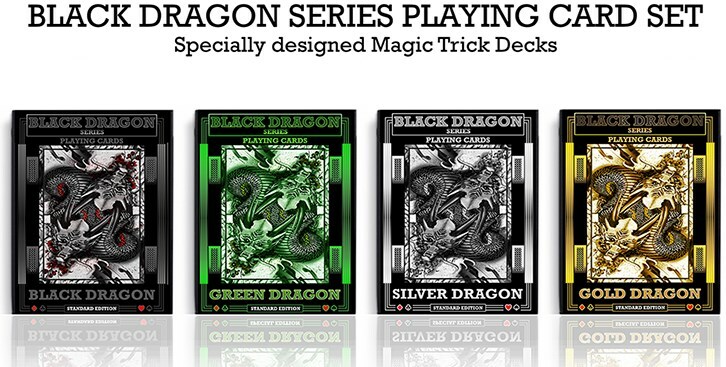 Pre-loaded decks include 1 Gaff Card plus 1 Hidden Reveal, with many tricks specially designed to be performed straight out of the pack! 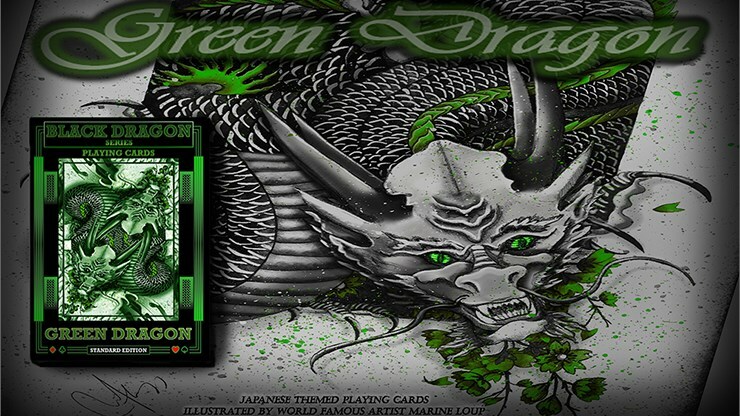 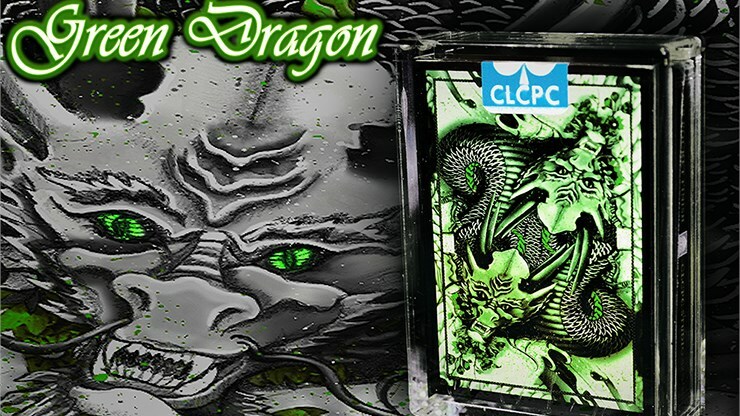 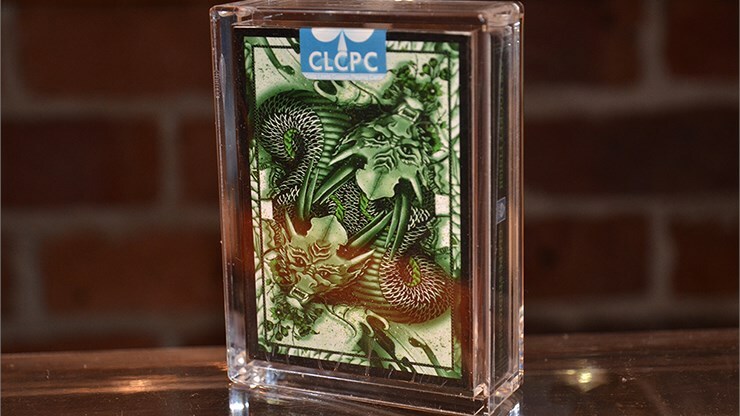 Green Dragon (Standard Edition) is the 2nd deck in the series from the Black Dragon Series of Playing Cards and decks contain 54 premium quality playing cards featuring Japanese-themed illustrations by world famous artist, Marine Loup. 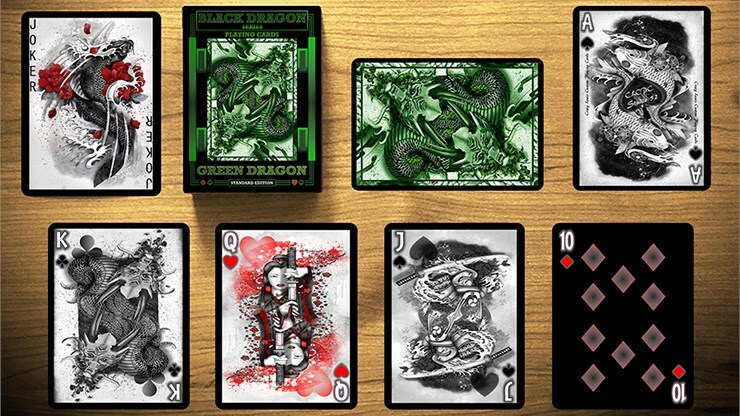 From unleashed dragons, samurais, and Katana blades, to symbolic Koi fish representing an ancient legend, these cards have been created specifically for card magic, while being designed to capture the imagination.